Argentina's President Cristina Fernandez de Kirchner met with former NSA contractor Edward Snowden in Moscow while on a recent trip to Russia, following reports of illegal British spying on Argentina, the NSA whistleblower's lawyer said. Anthony Romero, who apart from being one of Snowden's lawyers, is director of the American Civil Liberties Union, said the meeting between the pair lasted about two hours, and came about after Argentinian media, referring to evidence released by Snowden, reported that British authorities had engaged in a five year spying campaign on Argentine leaders from 2006 to 2011. According to the reports, the goal of British spying was to protect the security of the UK's disputed Falklands Islands, which have been a major source of tension between the countries, as Argentina considers the islands, known in South America as the Malvinas, to be Argentine. 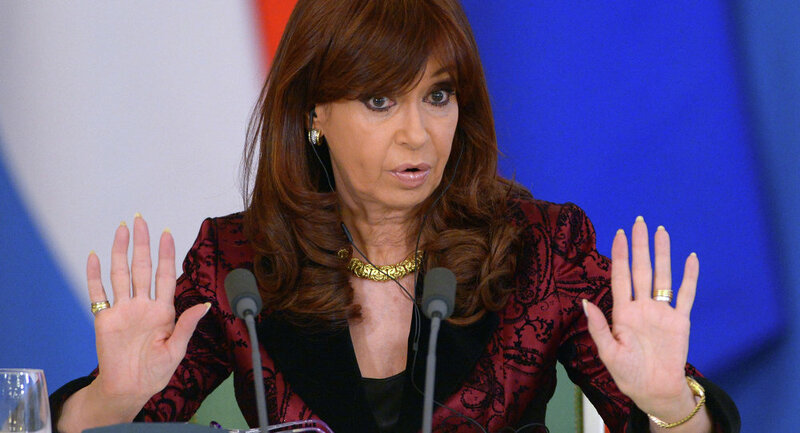 "She met with him toward the end of April," Romero told Argentinian media, referring to Kirchner's recent diplomatic visit to Russia to strengthen relations between the countries. The alleged meeting between the pair is even more significant, given that Romero said it was the first time Snowden had met face-to-face with a head of state since being granted a three-year residency permit to live in Russia. Snowden's residence permit was issued amid attempts by US officials to extradite him back to America to face espionage and theft of property charges as a result of the release of many previously unknown details about the National Security Agency's (NSA) mass surveillance programs. While meeting in Moscow, Romero said that Kirchner and Snowden also discussed the impacts that surveillance programs, such as those used by the NSA, would have on national governments and citizens alike. "They spoke about the National Security Agency's electronic surveillance, its ramifications for world leaders and impact on the citizens of foreign countries." Despite the reports of the meeting, neither the Argentinian nor American governments have commented on the matter. However, Anthony Romero praised Kirchner, saying that it is important for world leaders to support Edward Snowden and other whistleblowers wanted by US authorities, as they have uncovered valuable information on the surveillance practices of governments, which draws privacy and civil liberties rights into question. "My government considers him a criminal, which he isn't," Romero said, noting that meeting "demonstrates the bravery, courage and independence of President Fernandez."